IT Jobs in Germany For Foreigners. The German IT sector is a thriving industry, so it is easy to see why it is such a popular choice among workers from overseas who are looking to relocate to Germany. The German economy is one of the biggest in Europe, however the nation is still suffering from a lack of qualified IT staff. This means that many of the German work permits issued every year are to those who are employed in the computing sector. There is a particularly strong demand in Germany's IT market for workers in the computer network equipment industry, however there is also strong demand within many other categories in the industry too. If you are interested in finding IT jobs in Germany for foreigners, this article will help you to find out more about applying for positions within the sector. Who Can Work In German IT Jobs? If you are a qualified IT professional from inside the EU, you do not need to obtain any special visa or permission to obtain relevant employment in Germany. You will simply have to register your personal details at the Einwohnermeldeamt when you arrive in the country and then register again at the Immigration Office. You will only be required to present your passport together with a small fee and you can then work freely within the country. Anyone who is not from an EU country will be required to obtain the appropriate work visa in order to relocate to Germany. Usually, you will have to have already obtained a firm offer of employment with a German company and will have to have relevant qualifications in your profession in order to be granted a permit. Overseas candidates must also be able to demonstrate their willingness and ability to integrate into German society by having a working knowledge of the German language as well as financial means to support yourself in the country. Although there are no specific IT qualifications necessary to obtain access to the IT sector in Germany, each individual position will have its own requirements. Most companies will expect applications to have relevant professional qualifications which may be vocational or academic in the form of an undergraduate degree (or higher). Relevant experience within the industry is also very important, and some companies may give greater weight to this element of your application than your qualifications if you can show that you have a considerable track record within your field. Of course it is important to bear in mind that you will also require at a minimum a working knowledge of the German language, both in its spoken and written form, and preferably you should be a fluent speaker. While an exotic language, such as one of the many Asian languages, can be a selling point as an overseas applicant, English language skills are unlikely to benefit you as so many German citizens already have very strong English skills. 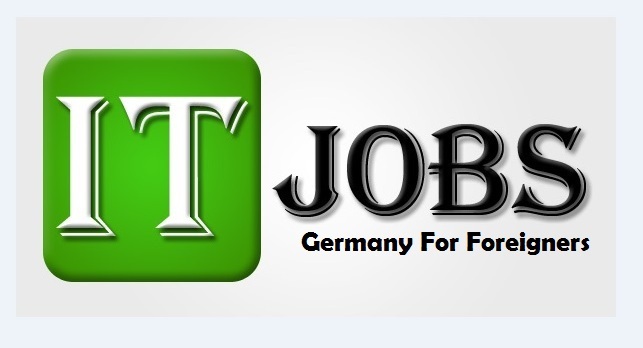 As the German IT sector is so large, it is very easy to find vacant positions advertised online. There are both general job websites and sector specific websites that advertise relevant positions and many of these sites also allow online applications, making the process quick and easy. Sites such as TechnoJobs and ComputerJobs.com offer a comprehensive list of appropriate positions across the length and breadth of the country, allowing IT professionals to find a job that meets their skillset without any difficulty. Large companies such as Microsoft are also big employers within the German IT market and could be approached directly to see if there are any suitable vacancies. Attention to detail is essential when applying for IT jobs in Germany. CVs and application forms must be professionally presented and factually accurate with clearly outlined experience and skills to give yourself the best chance of success. You should always take the time to tailor your covering letter and CV to the individual position that you are applying for.